I am sad to report that I’ve got cavities =(. Sad that it’s taken invisalign to find out. I can actually see them now between my teeth. It’s been so long since I’ve been to the dentist, I don’t even have one. Will probably need to take care of that asap but will need dentist first. 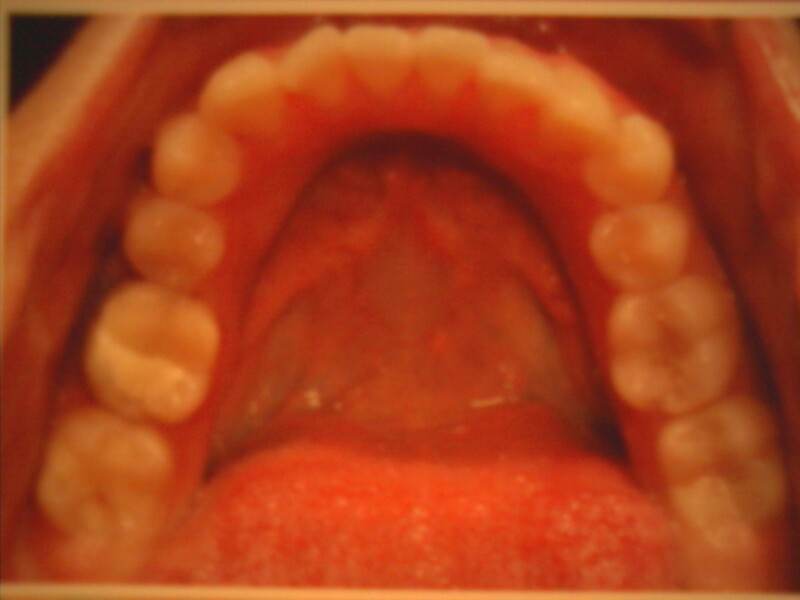 And I’ll also need to find out how the whole getting cavities fixed and invisalign work together. Hopefully it won’t set me back in the treatment. If you have experience with this, I’d appreciate hearing about it! I am on Tray 14, have another week of this one to go. 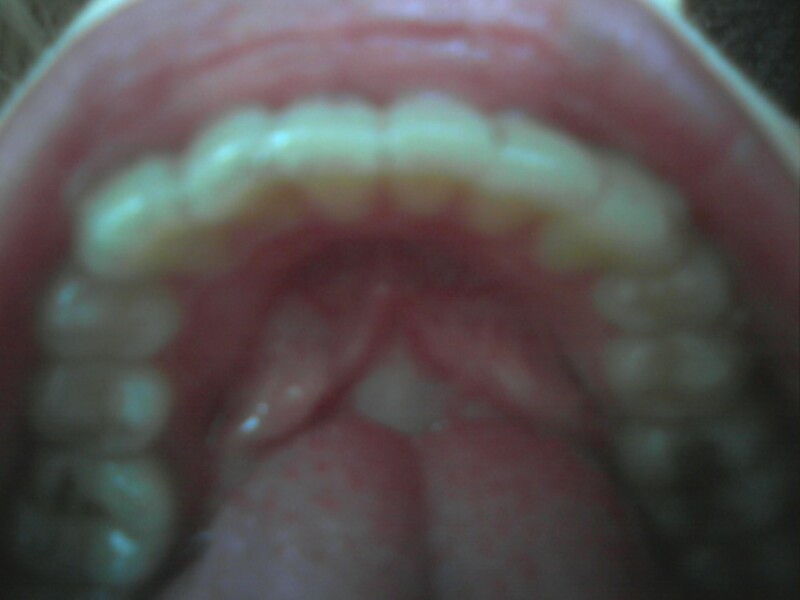 I decided to take photos of my teeth/jaw from a different perspective (which you will see below). And I’m really happy I did because I can see progress that has taken place. 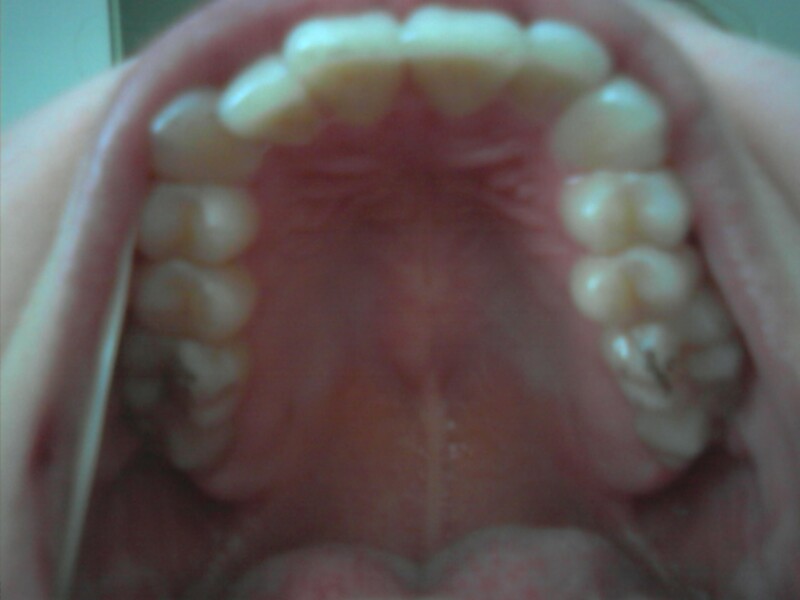 I’ve also sent the pictures to my mom and she said there is a big difference with my bottom teeth. It’s funny that I wasn’t able to see the change happening and now can’t even imagine that my teeth used to look like that! Here is my top jaw. On the left is the original and on the right is current. Obviously there’s a lot of crowding and a lot of movement still needs to take place. 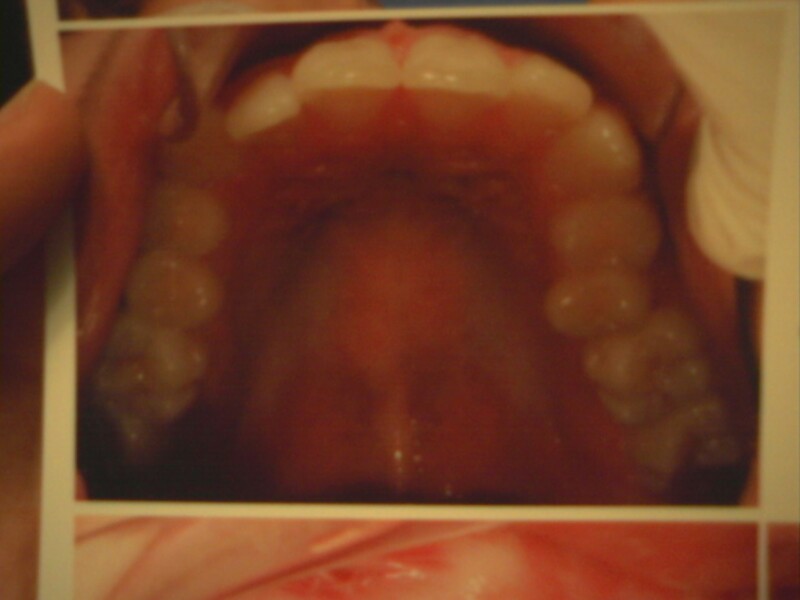 My bottom jaw wasn’t as bad in the beginning, so now it’s even better! Again, on the left is at the start of the treatment, right is current. I apologize for the blurriness and crappy angle, but you can see that the front teeth on the right have pretty much straightened out! Now for that crooked one on the left to get into place. I’ve also come to realize the importance of the chewies. They really do help your teeth move. I’ve been using them every time I put in my aligners and right now my trays are pretty loose on my teeth and come out nice and easy after only a week with them on. Usually, even at the end of the two weeks, they’re not this easy to remove. So the lesson here: use your chewies!